Considering its 5.8 meter length, it sure was short-lived. 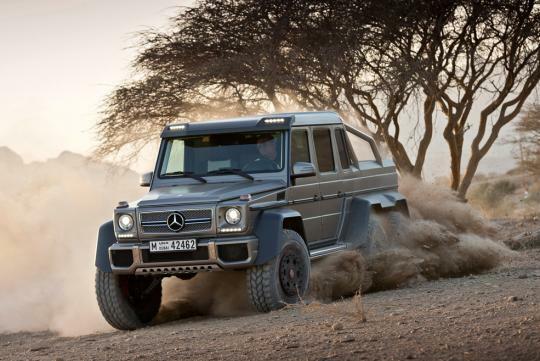 But the Mercedes G63 AMG 6x6 is reportedly wrapping up its short production run this month. 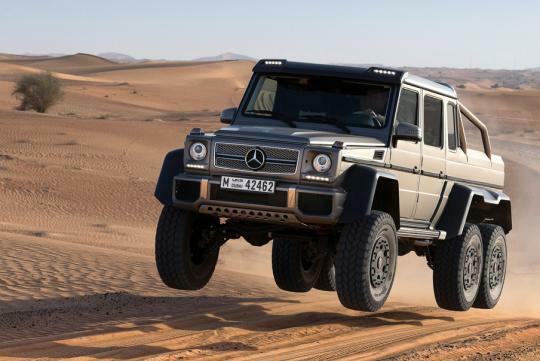 Based on a military variant of the legendary Geländewagen but built for civilian consumption, the G63AMG was – and will likely forever remain – the ultimate version of Benz's ultimate off-roader. It features six driven wheels on three axles with five differentials, all powered by AMG's stalwart 5.5-liter twin-turbo V8. 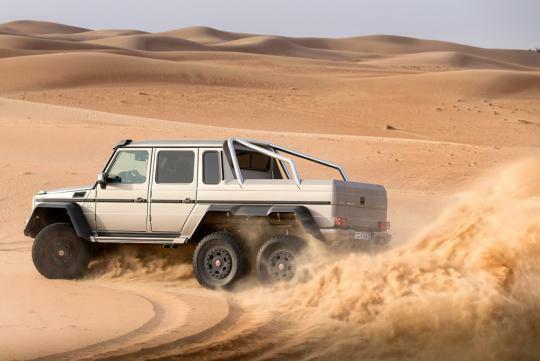 Mercedes rolled out the 6x6 on all its half-dozen driven wheels barely over a year ago, and despite its half-million-dollar sticker price, demand soared. But after selling about 100 of them, the German automaker is putting it to pasture, ensuring its rarity in the annals of off-roader history. 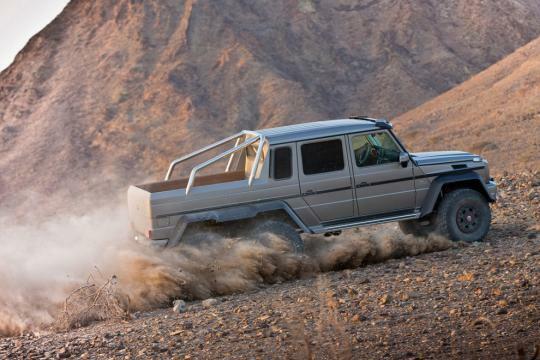 In its place, Benz will now begin production of the (relatively and slightly) less insane G500 4x4, which employs a tamer 4.0-liter twin-turbo V8 driving a more conventional four wheels, and ditches the pickup short-bed for an enclosed wagon body-style, but keeps its eccentric big brother's jacked-up ride height. 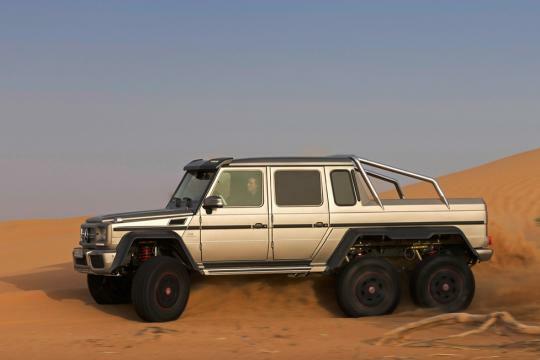 Those looking for the last word in power, though, will be more interested in the twelve-cylinder G65.